The Days of Johann, an agility dog! : Dog tricks, vintage style from Jay Sisler! Dog tricks, vintage style from Jay Sisler! Thanks to Kristin Tara McNamara, we now get to enjoy Jay Sisler via YouTube. These video links have been circulating about the dog Internet community, and we loved them so much we just had to share them. Kristen acquired them through VHS tapes that were shared with her in the late 90s. They are videos of Jay and his pups from the 1950s. If you have an Aussie, you probably know who Jay Sisler was, or at least knew about his famous pups. But I didn't, so we went searching for some answers to the man behind the famous pups. Here is a great interview with his Sisler's wife Joy and daughter Maggie by Andrea Scott by from "Working Aussie Stockdog." Jay was inducted into the Pro Rodeo Hall of Fame in August 2002. Jay's line of dogs started with a red dog, Keno who was acquired around 1945. Jay's brother, Gene acquired Blue Starr (or "Old Blue") at a local Idaho livestock auction in 1947. From these two came Stub and Shorty. Per ASCA's Yearbook, the Sisler-trained dog act was quite incredible. His Aussies being so eager to please would jump rope, stand on their heads, balance on bars, climb ladders and more. This constant exposure of these dogs to rodeo fans throughout the country led to great interest in the breed. So began the spread of the Sisler line (he called them simply "blue dogs") to nearly everywhere a good cow dog was required. A greater concentration of this line, of course, was seen in the Northwestern US and into Canada. Sisler was breaking horses for a living when he started in his rodeo career with help from his two cattle-working dogs, Stub and Shorty. The year was 1949 and Sisler was paid $10. Sisler went on to perform in many of the largest stadiums in the US and Canada, including Madison Square Gardens, San Francisco's Cow Palace, and the Calgary Stampede during the 1950's and 1960's They also appeared on the Ed Sullivan Show and toured with Roy Rogers. 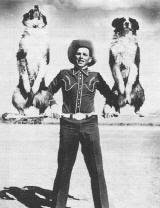 Sisler dogs played the lead in several movies, including two Walt Disney productions, Cow Dog and Stub: Best Cow Dog in the West. Sisler died on July 8, 1995 in a ranching accident. He was 69. Jay's pups appeared in Disney movies including Run, Appaloosa, Run and Stub: The Best Cowdog in the West. 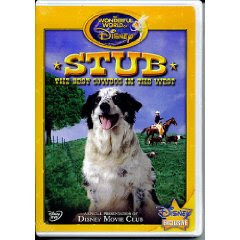 Stub is still available on DVD. 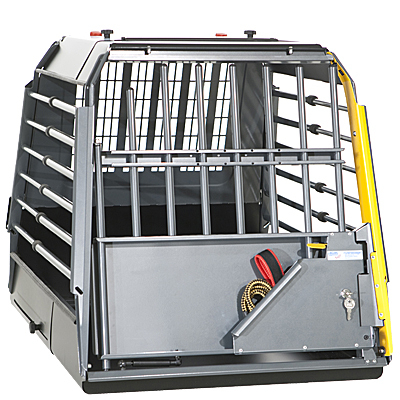 One we're gonna add to our list! Thanks for sharing those videos! This video is really circulating fast amongst the dog lovers. It's fabulous! I'm checking to see what my grandparents' connection was with Aussies and Jay Sisler. Their Aussie, Smokey, was my first love! These are fascinating. Loved the somersaulting greyhound, loved the skipping - but was a bit weirded-out by the monkey riding the Aussie, kangaroo-ing greyhound and the sheer length of time the dogs could run on their hind legs! That was some really amazing stuff! !